Syria: Palmyra Archaeology Researcher Beheaded by ISIS. Who Was Behind this Criminal Act? It is with great sorrow we announce the passing of our colleague, The archaeology researcher Khalid al-Asaad, former Director of Palmyra Antiquities, who was beheaded by TERROR group ISIS today, Thursday 18th of August 2015. According to reporter his body was suspended at the palmyrene columns area (that once restored by him) in the middle of Palmyra after they cut his head at the museum courtyard. Mr. Khalid started his career at DGAM since 1963 as a Director of Palmyra Antiquities, he was an inspirational and dedicated professional who was committed to DGAM even after his retired. 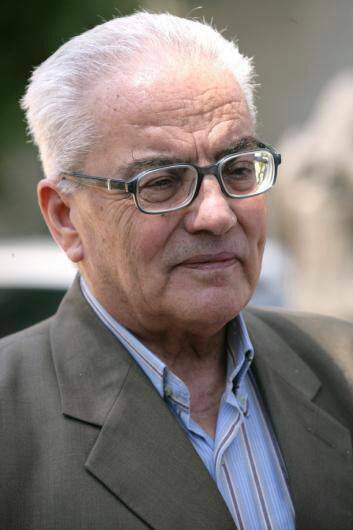 In addition to his generous character with great respect and admiration, he was known as one of the country’s top archaeologist and also recognized as an expert in the Palmyerian history, his name was connected with many Syrian remarkable archaeologist such as Adnan Al Boni and had several publications known at the international level. The DGAM strongly condemns this cowardly and criminal act of appalling brutality . However, it is his family who will feel his loss the greatest and our thoughts and prayers go out to them all.